Meet the sparkling Bubiana Guillaume, one of our 15 artisans ! B: Child, I was curious about everything and dexterous. I was sewing but I did not have the patience. I wanted to see the result right away. 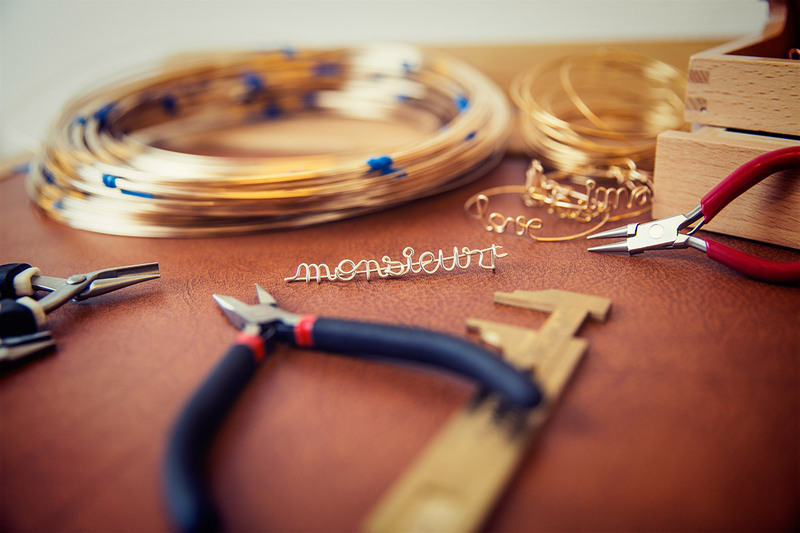 Become a jewelry artisan, it's a happy accident! I'm self-taught! I made jewelry for myself and and i wanted that become my profession. Today I am freelance. 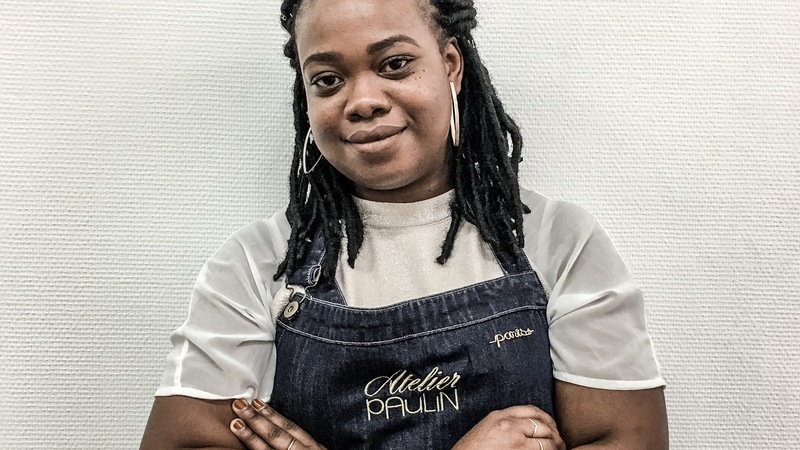 I work for several Parisian designers, including Atelier Paulin. What do you feel when you make a jewelry? What we write is chosen by the person who orders the jewelry and this makes a sense to them, reminds them of memories or emotions. I therefore put all my heart to the work to express them at best. What is the first quality of a craftswoman? B: I'll say passion! When you are passionate, you do things well and you will always try to improve. When I make a jewelry I always tell myself that like I do it for myself. I want it to be perfect. How Atelier Paulin stands apart from others? B: The dynamism! People would think that Atelier Paulin remain in a certain redundancy with his jewels; It's quite the opposite! The prospects for development are endless ... New collections, new products ... Projects involving Artisans are regularly offered to us. It goes fast and it's very exciting. A first name, a word, a story ... Anecdotes? One day a customer asked me "habiba" which means "little soap" in Arabic. There is a meaning behind this word and olnly the person who offers it and the one who receives it know ... It is very poetic! 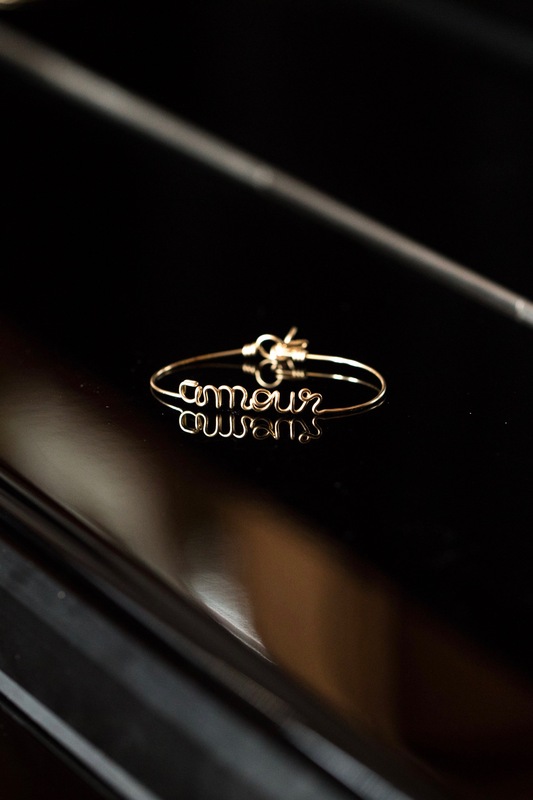 I was also asked « jemaime » (« i love me » in french) ... People often say "I love you" to others but to love others is to start by loving yourself, right? The symbolism is very strong! You often meet with the customers; What do you like? B: To make a jewelry in front of the customer it feels like Geppetto in Pinocchio ... The jewelry takes shape and is born with my hands just under their eyes ... It is a very strong feeling and see a happy face, it has no price ! B: Paris! Atelier Paulin is the image of Paris! It is a city that is always exiciting, fast moving and fashionable!